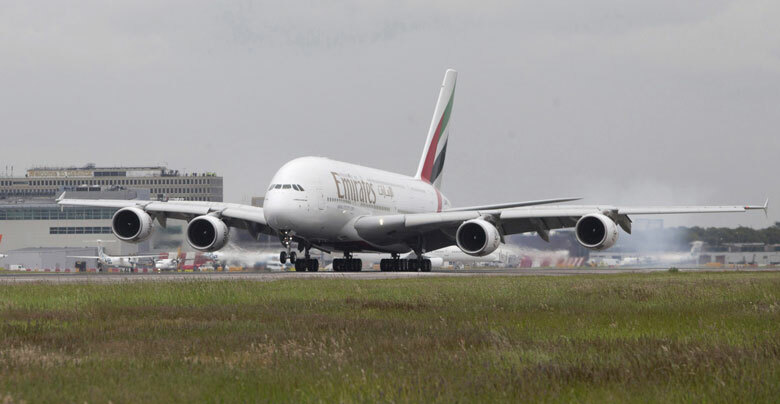 Emirates yesterday became London Gatwick’s first A380 airline as it inaugurated its superjumbo service into the airport. The airline will fly the A380 daily with flight EK9 departing Dubai at 1500 and arriving at Gatwick at 1930 and return service EK10 leaving Gatwick at 2115 and landing in Dubai at 0720 the next day. Hubert Frach, Emirates’ divisional senior vice president commercial operations west, said: “Six years after launch the Emirates A380 is still a customer magnet. Besides adding extra capacity to the route — until yesterday, all three of Emirates’ Gatwick flights were operated by B777-300ERs — the 489-seater A380 provides both premium and economy passengers with a superior onboard product. It also means that Gatwick passengers, like their Heathrow and Manchester counterparts, will be able to sample A380 service (via Dubai) to main global cities. Flight EK10 arrives into Dubai at 0720 from where there are Emirates flights to Bangkok at 0940, Hong Kong at 1005 and Sydney, with Qantas A380 at 0920 and with Emirates A380 at 1005. In order to become A380 compliant, Gatwick has invested £6.4 million in new facilities, including the widening of three runway rapid exit taxiways and modifications to taxiways between the runway and the stand. Guy Stephenson, Chief Commercial Officer of London Gatwick, said: “The A380 is one of the modern marvels of aviation engineering and as such we have dedicated part of Gatwick’s £1 billion investment in transforming its infrastructure, creating a stand designed specifically with the world’s largest aircraft in mind. Emirates received its 46th and 47th A380 aircraft in Dubai on Friday.